Let's get to the bottom of the age old question: what's the best way to eliminate odors? I hate to say it, but the bathroom in my Brooklyn apartment doesn't have naturally tidy features. There are no windows to provide circulation and the old tiles and grouting are barely pleasing to the eye. Showering with the door closed isn't an option and the bathtub refuses to look clean. That being said, I've worked long and hard to keep the space clean and make it the best it can be. Because that's what it's all about, right? But conquering the dank and stuffy bathroom odor has practically become a game. All I've wanted is for the bathroom to be and also feel clean when you walk into it. So I tried out diffusers, various candles, air fresheners and lavender. But all of these products simply mask odors without actually fighting them. Not enough, guys. 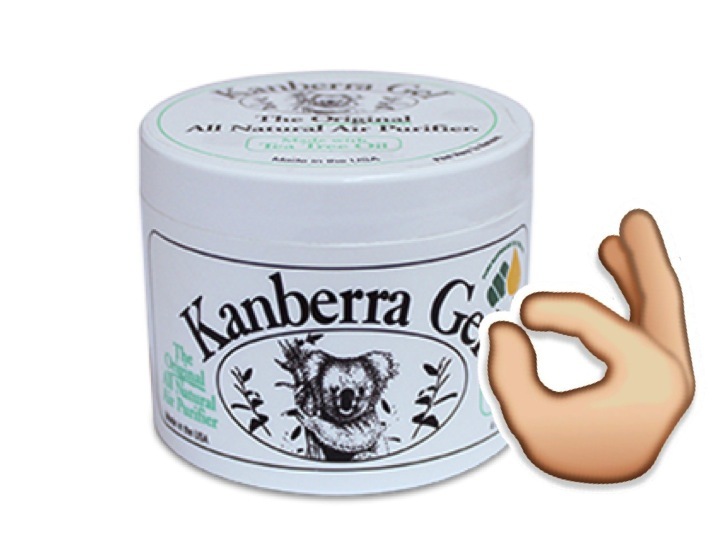 Then I discovered Kanberra Gel and everything changed. These guys use tea tree oil (from Australia) to naturally fight mold and mildew. The particles from the gel get into the air and neutralize the causes of odor. Genius! You're not left with a "fake clean" smell but rather, no smell at all! Which is what nature truly intended, if you ask me. So ya, case closed. I still have to scrub my tub weekly (we all do!) but at least my bathroom doesn't have a bad odor when I walk into it. Plus, cute koalas are always winners.